Biloxi has grown from a quiet coastal town, into an entertainment mecca, with resort casinos lining the beachfront. Since the legalization of gambling in the 1990's, Biloxi has become a nationwide gambling destination, attracting world-class entertainers, and major casino and resort chains like Harrah's, MGM, and the Golden Nugget. 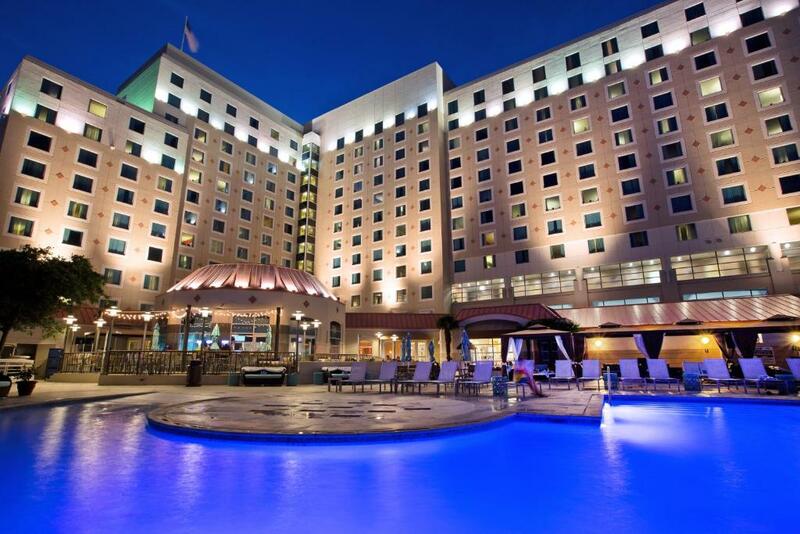 With so many choices for lodging, TripShock.com has compiled a list of the top 3 destination casinos in Biloxi, MS. The following casinos offers a wide range of amenities and events that make each one a perfect getaway for couples, family, or friends. From family-friendly attractions to extreme excursions, discover the top things to do in Biloxi online! Located at 875 Beach Boulevard in Biloxi, MS, Beau Rivage is a stunning example of waterfront resort lodging at its finest! After severe destruction caused by Hurricane Katrina, Beau Rivage was rebuilt and re-opened in 2006, a year after the deadly storm. This Gulf Coast destination resort is owned by MGM Resort International, a key player in many of the world's top entertainment getaways. Beau Rivage Casino Resort in Biloxi offers the highest quality lodging. With 1,740 air-conditioned rooms featuring plasma stunning televisions, you may be inclined to save your money and stay in! Complimentary wired and wireless Internet access keeps you connected, and pay movies provides entertainment. Private bathrooms with separate bathtubs and showers feature makeup/shaving mirrors and hair dryers. Find a variety of unique and enthraling casino games at the Beau Rivage 24-hour casino! More than 2,100 of the newest slot games provide plenty of chances to hit the jackpot, and table games from Blackjack to Craps help you win money even faster. For the high-stakes gamblers, the casino at Beau Rivage offers a poker room, and high-limit lounge with more than 100 games and access to a person cashier. Spa & Salon - Need a break from the beach, sun, and slots? Spend an afternoon at the Beau Rivage Spa & Salon for all your beauty and relaxation needs. Specialy Spa services include massage, body therapies, nail and facial therapies, and hair services. Fallen Oak Golf Course - Fallen Oak Golf Course was designed by legendary course architect, Tom Fazio, exclusively for guests of Beau Rivage Resort & Casino. Fallen Oak is an 18 hole, par-72 championship course, that was voted Golfweek's No.1 golf course to play in Mississippi. Shopping - Over a dozen upscale boutiques at Beau Rivage's Promenade Shops await eager fashionistas. Take some time to browse for upscale fashions, luxury jewelry, boutique brands, unique gifts and artisan products. Pool - Beat the southern heat at the picturesque Beau Rivage pool. Incredible coastal views surround the second story pool deck extending over the Mississippi sound. The beautifully designed and decorated pool area also features space for group activities and private functions. If the pool waters aren't enough to stay the sun, refresh with a smoothie, chilled cocktail or light meal at the Pool Bar & Café - or opt for poolside service and keep your place in the sun. Arcade - Take the kids, or release your inner child at the on-site 3,000 square foot arcade! Find the hottest games including Triple Turn, Dizzy Chicken, and Key Master, as well as old classics like Pac Man & Galaga. Earn points for big prizes or play for fun to add some whimsical excitement to your Biloxi vacation! Nightclubs - Beau Rivage nightclubs bring music, dancing, and sophistication to your resort retreat! Hit Eight75 for an elegant after-dinner drink with friends, or put on your best outfit and live it up at Coast nightclub! Whichever your flavor, you won't have to leave Beau Rivage to enjoy the night! Book a room at Beau Rivage Resort & Casino Online! IP Casino Resort & Spa is a deluxe lodging that offers everything from gambling to golf! 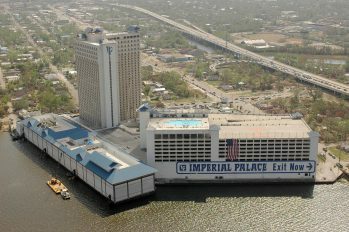 Located at 850 Bayview Avenue in Biloxi, IP Casino Resort & Spa is centrally located to some of the best attractions in Biloxi. Winner of the elite AAA Four Diamond award, The IP Casino Resort Spa, is the Gulf Coast's premier entertainment resort destination. Towering 32 stories over the scenic Back Bay of Biloxi, the IP is home to more than 1,000 elegantly appointed hotel rooms and suites with full amenities. Play at IP Casino Resort & Spa, and find a whole world of games at your disposal. Over 1,700 slot machines provide days of variety, and IP table games are known as having "the best odds on the Coast!" The professional poker room is non-smoking and boasts the best action, and high-limit gaming areas offer a chance to focus on slots and table games in a relaxing and elegant environment. *IP Casino was awarded the "2013 Best of Gaming" Award by CasinoPlayer Magazine! Senses Spa & Salon - Choose from an array of spa treatments during your stay at IP Casino Resort & Spa. Choose from natural and effective skin and body care services, or combine treatments for extra enjoyment and savings. Shopping - Find everything you need for your Gulf Coast getaway at one of the resort shops. Browse "essentials" for items like shoes, belts, cosmetics, and souvenirs, or "trends" for retail boutique wares at their finest. Pool - The sparkling water of IP Hotel's giant swimming pool is enticing enough, but a beach entrance, private cabanas, and the Quench Bar and Restaurant serving food and drinks gives a whole new meaning to fun in the sun. The seasonally opened pool is great for the whole family, and is a great place to unwind before hitting the casino! Book a room at IP Casino Resort & Spa Online! Harrah's Gulf Coast Casino, formerly known as Grand Casino before major destruction during Hurricane Katrina caused Vegas casino giant Caesars to purchase the gambling resort, is located at 280 Beach Boulevard in Biloxi, MS. Centrally located in Biloxi, Harrah's is convenient to the Maritime and Seafood Industry Museum and Biloxi Lighthouse. Harrah's Gulf Coast (Grand Casino) is home to 500 air-conditioned rooms featuring plasma televisions. Digital programming and video-game consoles are provided for your entertainment, while wireless Internet access (surcharge) keeps you connected. Private bathrooms with shower/tub combinations feature complimentary toiletries and hair dryers. Conveniences include safes and desks, as well as phones with voicemail. Gambling at Harrah's is 24 hours, and offers games for both the novice and expert. Find unique slot machines, and 35 exciting table games including blackjack, roulette, and mini baccarat. NEW TO THE CASINO is an Asian gaming room equipped with games like Pai Gow and an Eastern-inspired atmosphere of feng shui and Asian dining options. Pool - The heated pool at Harrah's Gulf Coast is open year round, 7 days a week. The deck overlooks the stunning Gulf of Mexico, and outdoor dining options are available from the Mix & Mingle Lounge. Deluxe cabanas are available for rental, and the Pool and Lounge area is perfect for private parties! Bellissimo Spa and Salon - High end Spa and Salon services are made available at Harrah's Casino Resort. Massage, facials, body wraps and more are a great way to spend a day in Biloxi. Grand Bear Golf Course - While visiting Harrah's Gulf Coast Casino, Hotel and Spa, enjoy 18 holes of golf at our signature course, Grand Bear Golf Course, a Jack Nicklaus-designed layout widely considered to be among the South's most spectacular courses. Beautiful and challenging, this Biloxi golf course navigates through natural cypress wetlands and towering pines, with packed pine needle rough, championship greens and deep bunkers set over 650 acres of rolling land in the piney woods of the DeSoto National Forest. Mix and Mingle Indoor/Outdoor Lounge - Soak up the sun's rays and cool off all in one at Mix & Mingle, our upgraded indoor and outdoor lounge and bar where you can “mix” inside and “mingle” outside. Uniquely designed, Mix & Mingle isn’t just a place to cool off and have a drink, which you can surely do - it’s also an experience. Book a room at Harrah's Gulf Coast Hotel & Casino Online! For a complete listing of Biloxi Resorts, Condos, and Hotels, visit Biloxi resorts and hotels.